Summary Details: insurance4carrental.com the car hire excess insurance provider advertising site now has five companies offering insurance. 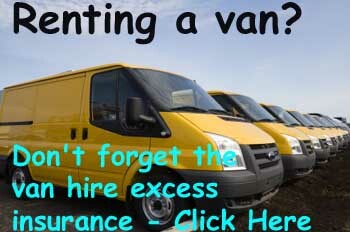 There are now five car hire excess insurance companies advertising their products on the insurance4carrental.com site. Two of these, the long established insurance4carhire and daily excess are owned by the same company. 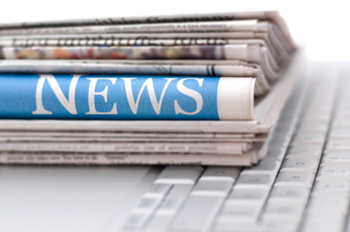 In 2008 Questor was added to the jml-insurance advertising sites and in the past month iCarhireinsurance and Essential Travel car hire excess insurance have been included. Philip Suter of jml Property Services said " The site now has a very good selection of providers and together with insurance4vanrental.com promoting insuremyvanhire so the consumer has plenty of choice." "We recently carried out a survey of Internet providers in the car hire insurance market and found that there are over 28 providers. Back in November 2004 when I met the founder of insurance4carhire Larry Ursich to become an agent, there were no other companies in the business". Since jml Property Services became insurance4carhire agents in 2004 they have arranged (via a dedicated advertising link) nearly £100.000 worth of business for that company. Philip went on to say that he had a problem of being charged a large amount of money for alleged damage back in late 2000 and when he discovered the insurance4carhire excess policy a few years later, immediately bought an annual policy and has done ever since. 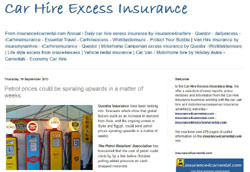 The latest addition of car hire insurance products to be included on the site is the Essential Travel one. Essential Travel insurance products have been advertised on the jml Property Services sites since 2004 and as they are now offering car hire excess insurance it makes sense to advertise their product.